For Galvin Humphries, providing lasting service to his Lake of Ozarks real estate clients is not just his focus, it’s his Legacy. As a local businessman, native of Missouri, and Lake of the Ozarks enthusiast, Galvin knows what you’re looking for when you are considering a home, condo, or any kind of Lake of Ozarks real estate at this scenic destination. He knows that you want to create lasting memories with your family and friends in the exciting getaway at Lake of the Ozarks, Missouri. And that’s why he’s focused on The Lake area and exceeding your expectations. Galvin draws on decades of professional expertise to give you the results you deserve. From his dynamic marketing to his negotiation skills, he goes the extra mile for you every time. By staying up on the local trends and market changes, Galvin provides you with all the current information you need to make a confident investment. 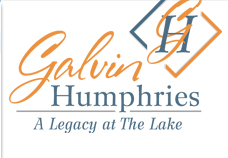 The next time you’re looking for a place or thinking about selling an existing piece of Lake of Ozarks real estate, contact Galvin Humphries. He’s a Legacy at The Lake, focused and committed to your goals about Lake of Ozarks real estate. Call Galvin today. Galvin is proud to help with the Lake of Ozarks real estate, home, Lake of Ozarks condos and property needs of residents around the Lake of the Ozarks, MO.